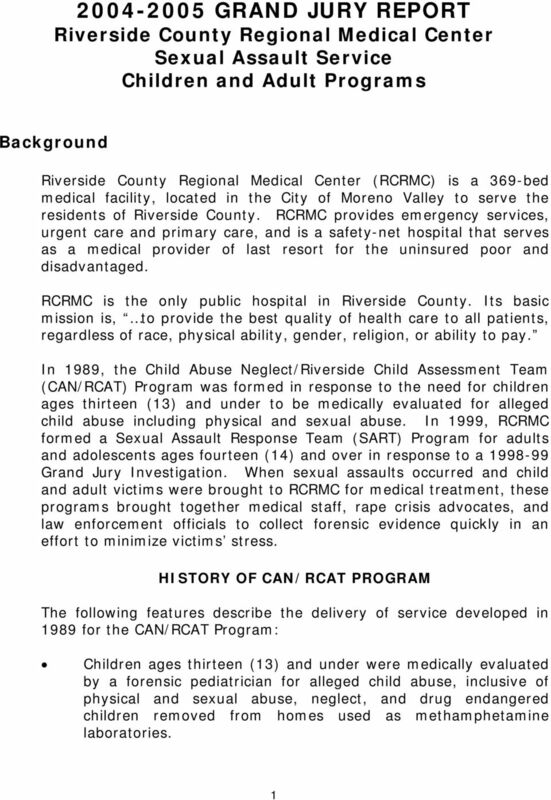 Download "2004-2005 GRAND JURY REPORT Riverside County Regional Medical Center Sexual Assault Service Children and Adult Programs"
Students BP 5141.4. The Superintendent or designee shall provide training regarding the reporting duties of mandated reporters. 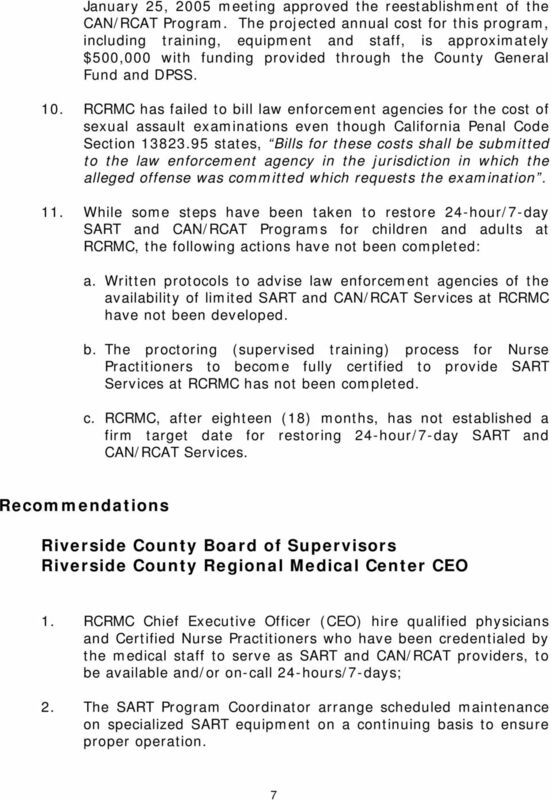 Keeps a physician up to date on all laws and regulations affecting medical practice. WELCOME TO STRAITH HOSPITAL FOR SPECIAL SURGERY During your stay with us, our goal is to make your hospital experience as favorable as possible by providing information and open channels of communication. State of Oklahoma Child Death Review Legislation Title 10.Children Section 1150.1-1150.5 Link: http://www.lsb.state.ok.us/ 10-1150.1. Definitions. 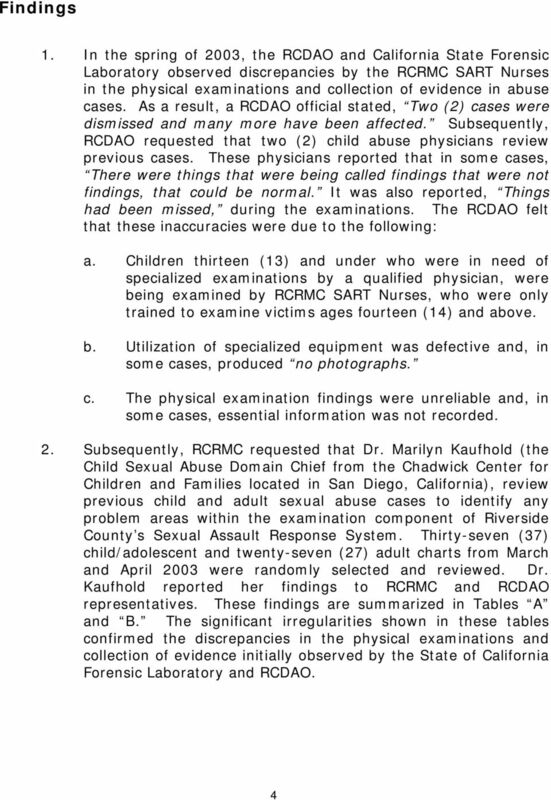 As used in the Child Death Review Board Act: 1. "Board"
ABUSE, NEGLECT, SELF- NEGLECT & EXPLOITATION OF VULNERABLE ADULTS INDEX CODE: 1810 EFFECTIVE DATE: 01-29-09 Contents: I. Purpose II. Definitions III. Investigative Procedures IV. Protective Services V.
Personnel Rule 7.11 - Domestic Violence, Sexual Assault, and Stalking Leave. 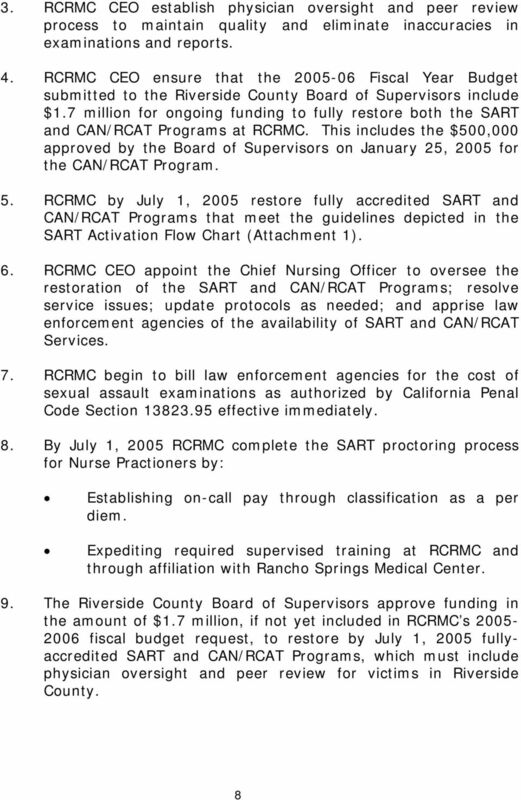 SMC 4.04.040 and subsequent revisions thereto, Administration. MULTICARE ASSOCIATES OF THE TWIN CITIES, P.A. NOTICE OF PRIVACY PRACTICES THIS NOTICE DESCRIBES HOW MEDICAL INFORMATION ABOUT YOU MAY BE USED AND DISCLOSED AND HOW YOU CAN GET ACCESS TO THIS INFORMATION.